If you work in a rural area, you will likely often encounter homes with septic systems rather than municipal sewer hookups. In some areas, municipal sewers are replacing septic systems, and residents are forced to make the switch, which can cost many thousands of dollars. However, many towns still allow septic systems. So when you are inspecting these homes with septic systems, making sure this vital system is functioning properly is crucial. First, check the regulations in your area for how far away from a dwelling or water source a septic system must be. Homes built before such regulations were made may be in violation of these health codes. Once you have your numbers, measure the distances between the home and the septic system to make sure it conforms to the regulations. The size of the tank is also significant. A family of four requires a 1,000-gallon tank at minimum. The septic system you are inspecting might have been installed many years ago when fewer people lived in the home and showers and laundry were not daily rituals. Thus, the tank may be too small for today’s standards. One telltale sign of a tank that is too small or is malfunctioning is saturation of the ground near the tank. This is evidence that the tank is too full or has been breached and is regularly spilling over. Unusual patches of thick, green grass are also a worrisome sign. 1970s humorist Erma Bombeck once wrote a book called, “The Grass is Always Greener Over the Septic Tank.” And in the ’70s, it probably was, because the Environmental Protection Agency had just been created and was in the process of making rules about raw sewage seeping into backyards. If you find any of the above issues, they should be noted in your report. The problem may be due to a crack in the tank, but you’ll want to check the distribution box. Here you might be able to see if a pipe is clogged or the box is somehow compromised. Also, check the baffles in the box; if they are covered in solid material, there is a problem. Similarly, if the sewage level is too low in the box, this might signal a leak. You can also check the sludge level in the tank, assuming that the lid is easily accessible. This is best done with a “Sludge Judge,” which measures the amount of sludge at the bottom of the tank, plus the water on top of it and the scum on top of that. The tank should be no more than one-third full. When the level rises higher than this, it should be pumped. Homeowners should keep a log of how often they get their septic tank pumped. This household expense is important information to potential buyers. Moreover, if the tank is too small for modern use, this job will have to be done more frequently. Septic tanks need to be pumped regularly. On even older homes, you may encounter a cesspool rather than a septic tank. 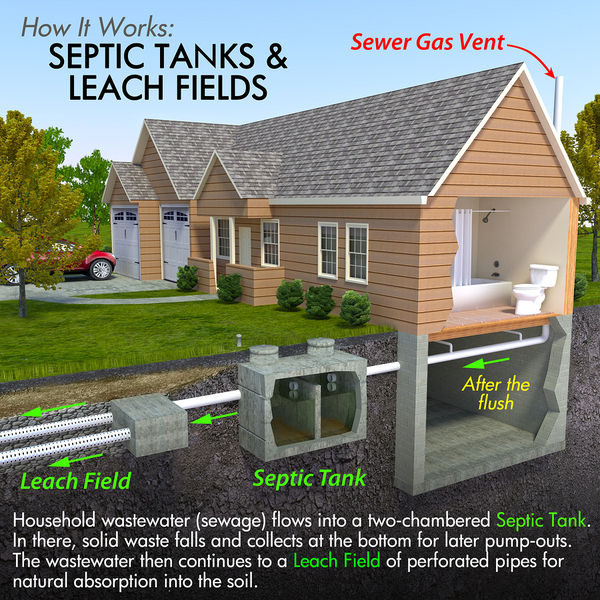 Cesspools differ from septic systems because they do not treat the waste before discharging it into the nearby soil. While the use of these is grandfathered by many jurisdictions, that privilege can be revoked during the transfer of real estate. 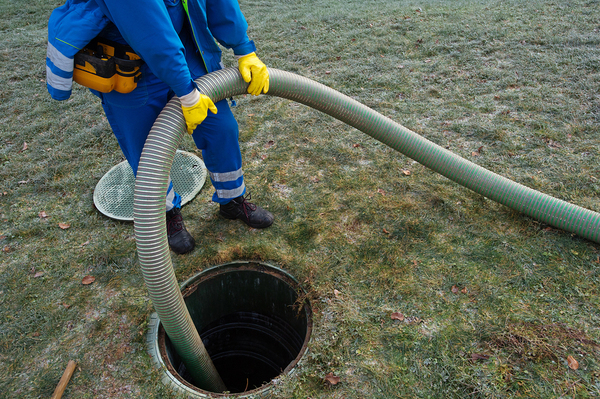 This is not always the case — it depends on your location — but you should make note of the situation, as a cesspool will eventually need to be replaced with a septic system or a connection to a municipal sewer at significant cost to the homeowner. How a home disposes of its waste is essential to the health of its occupants and the land on which the home sits. It must be in good working order. ICA School’s home inspection training course can teach you everything you need to know about home inspection, including the best methods for inspecting septic systems. Enroll now or get a demo or our inspection training classes.